Some products at the accessories, cosmetics and novelties store are up to 90 percent off, per the sales signage. The Ricky's on First Avenue between Sixth Street and Seventh Street closed without any notice in March 2016. 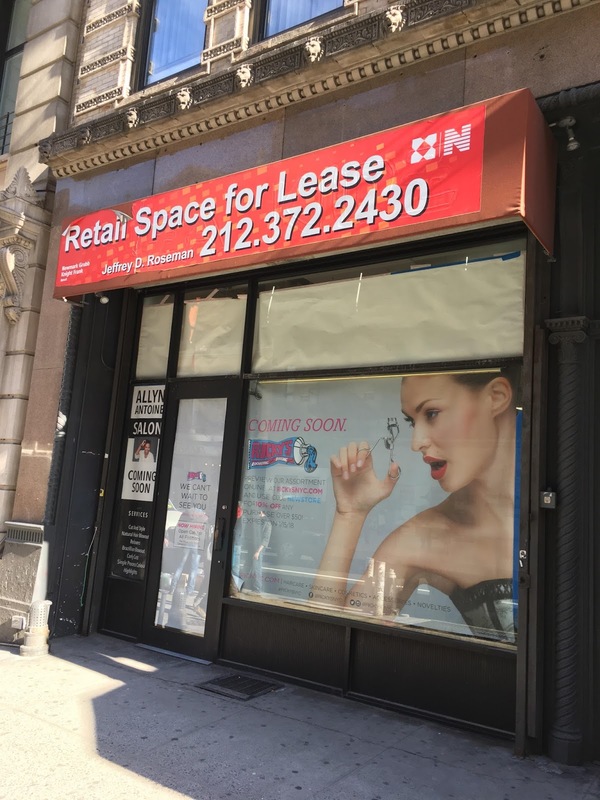 The one in Chelsea on 23rd Street near Eighth Avenue closed last May while the Union Square location followed suit in November. 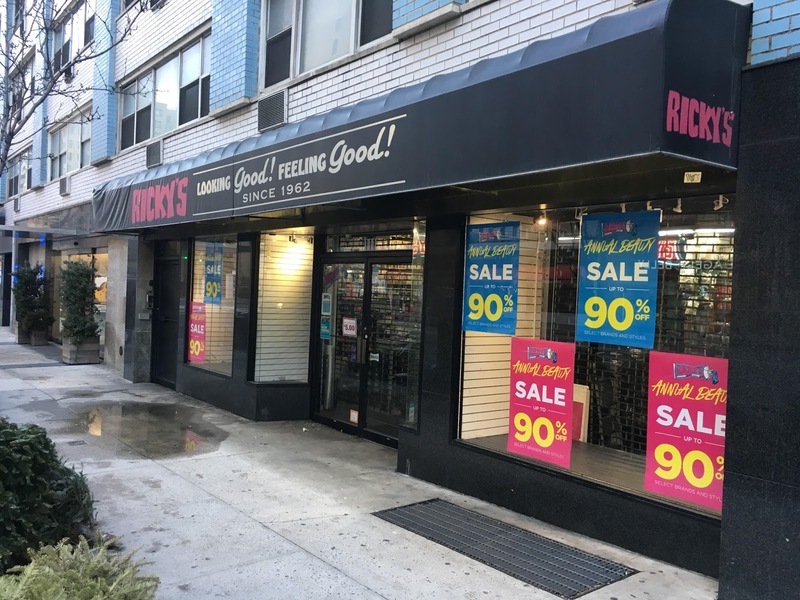 Ricky’s NYC president, Michael Long, told the Commercial Observer last fall that the chain is closing "underperforming stores" and that the company is now profitable. I think customer service at the location is a huge factor. I've been to both of these Ricky's locations and the staff is so unpleasant that I just left. Where will I fill my slutty Halloween needs now?? I agree with the first commenter regarding the poor level of customer service. A couple of years ago, I visited the location on 7th and 1st. I asked a young saleswoman about a hair product I was in search of, which they always seemed to carry in the past. She replied, "I don't know. And I really don't care right now." She was on her smartphone and laughed hysterically over something. Crestfallen, I stared at her and asked if I could speak with the manager. She said she was the manager and what the hell did I want. I rolled my eyes, shook my head, and left. This wasn't the first rotten encounter with staff. The service was and is horrendous. I wonder how and why they remain in business for all of these years. Wasn't there one on First Ave and 3rd, where Starbucks is now, years ago? Wtf is the point of Ricky's? The store on 1st ave/64th-65th was always the best. That manager (long hair) was the coolest guy and ran a great store. A bit troublesome to get to but it was worth it. Rumor is the company dumped him like a bad habit when he asked for a raise and then the store closed shortly afterwards. Too bad. Seemed like he truly loved his store. Hard to find these days. I don’t shop at the chain anymore. Service is too horrible, always out of stock and too expensive.